Power plants continuously face corrosion caused by chloride and sulfate under high pressure water and steam conditions. Pitting, stress corrosion cracking and other forms of corrosion attack boiler and steam generator tubes, turbines and other key components in the steam-water cycle. Deposited corrosion causes additional losses through under-deposit corrosion, lowered efficiency and more frequent shutdowns for cleaning. 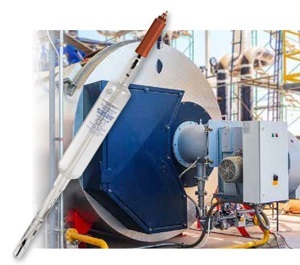 As a result, monitoring of chloride and sulfate at very low ppb limits is being specified as part of cycle chemistry guidelines and turbine warranty requirements. Demonstrating compliance with these limits has been a challenge for power plants. With a lack of practical on-line measurement technologies, cycle chemistry guidelines have relied on inferred measurements such as cation and degassed cation conductivity. These are important techniques for monitoring water purity during startup, but do not quantify the concentration of chloride and sulfate ions. Ion Chromatograph (IC) and Inductively Coupled Plasma (ICP) technology provide the separation and sensitivity needed to measure chloride and sulfate at the required low ppb levels. However, the cost of these instruments and the skilled personnel required for their operation places them out of reach for most power plant budgets. As shown in the video below, METTLER TOLEDO Thorntonʼs 3000CS Analyzer uses sophisticated Microfluidic Capillary Electrophoresis (MCE) technology to provide a convenient, dependable method for trace-level chloride and sulfate monitoring. 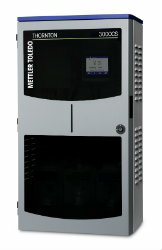 The 3000CS Analyzer has been developed specifically for on-line, unattended operation. It runs in a semi-continuous mode, taking a sample every 45 minutes. 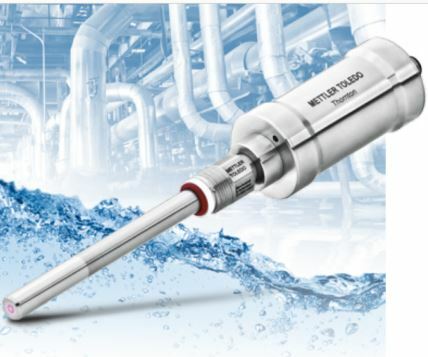 This allows power plants to monitor chloride and sulfate without having to rely on infrequent sampling using an off-line lab method. The 3000CS Analyzer also requires far less operator attention and has lower running costs than both IC and ICP analyzers, allowing for better cycle chemistry control, even in plants with limited budgets. Microfluidic Capillary Electrophoresis technology provides a convenient, dependable method for trace-level chloride and sulfate monitoring. Discover more in our white paper. 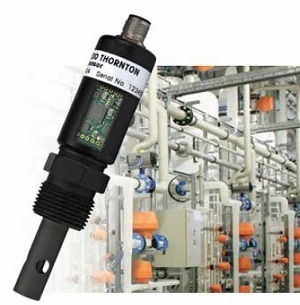 How can accurate pH measurement prevent power plant corrosion? 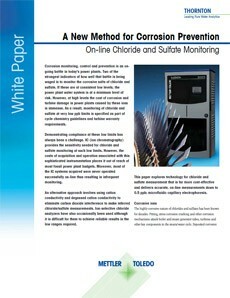 Control the corrosion environment with effective pH monitoring and the regulation of dissolved oxygen.